If I have learned anything in my years of organizing, it is that I am much more likely to maintain a system that I love. If I can see beautiful paper poking through some acrylic drawer organizers, I am much less likely to let the drawer fall to the wayside. And not only am I more inspired when I use beautiful storage solutions, I also appreciate when our closets, nooks, cabinets and drawers all blend seamlessly throughout our home. So once you have gone through the motions of emptying, sorting, purging and storing your belongings, how do you be sure to fall head-over-heals excited about those changes and spaces? I don't believe that upgrades have to be anything crazy or expensive. There are small things that can be done that will ensure your projects shine. 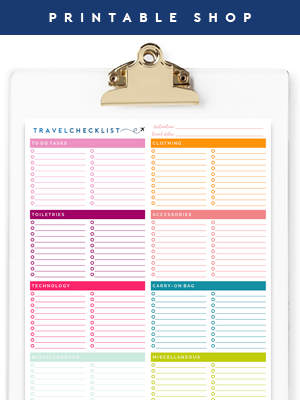 I also don't believe that pretty paper makes or breaks an organizing project or will be the one thing that holds it together. 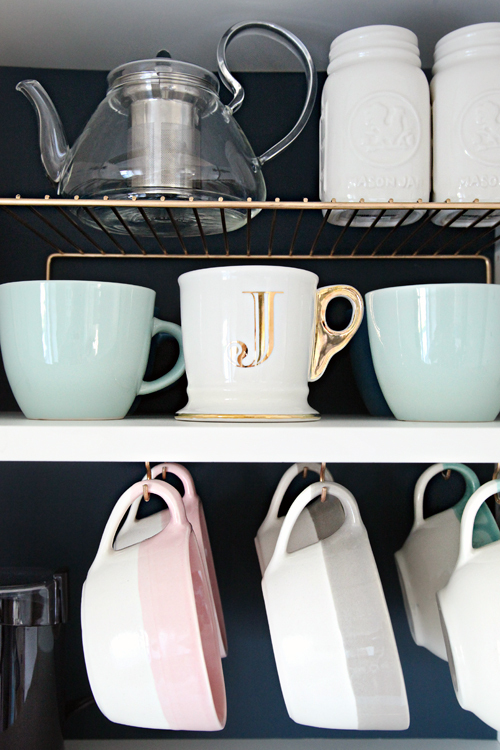 But if you have open shelving, why not glam them up a bit? 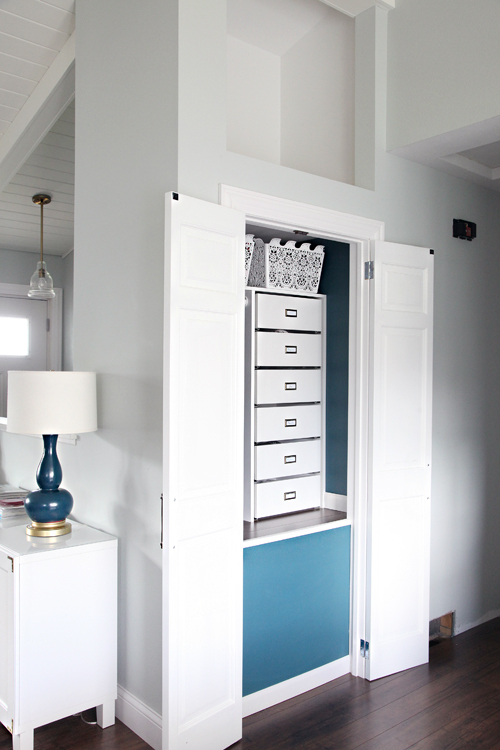 If you have a closet you utilize daily, why not give it a coat of paint? I say, bring a little happiness into a generally boring area, and here are a few easy ways to do so. There is nothing wrong with white closets, in fact, sometimes white makes the most sense. However, I always recommend putting a coat of paint over the drywall/primer combo that exists inside of most standard closets. That finish won't last long, especially in a high traffic area, so a good coat of washable paint will always be a plus. And if you are going to paint it anyway, why not make it a color you love? Or one that plays off the remainder of your home? 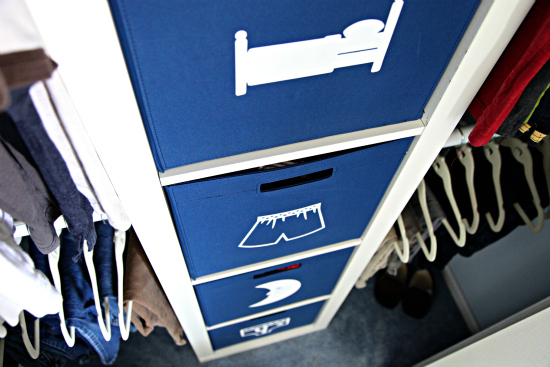 Many closets open to main living areas, and that little extra love you give it will be enjoyed and appreciated daily. 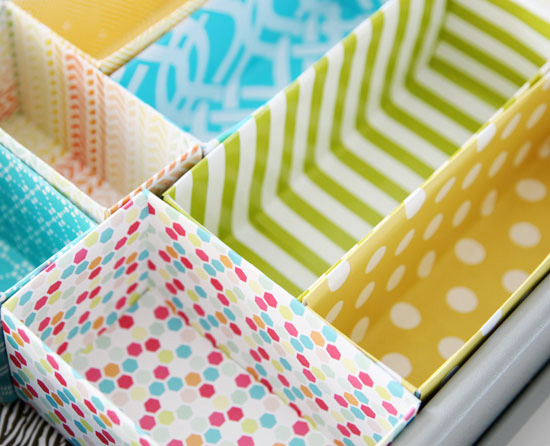 I selfishly love to line drawers with pretty patterns so that I don't just toss things back inside and cover them up. It offers a happy little surprise whenever I go to brush my teeth or cook in the kitchen. 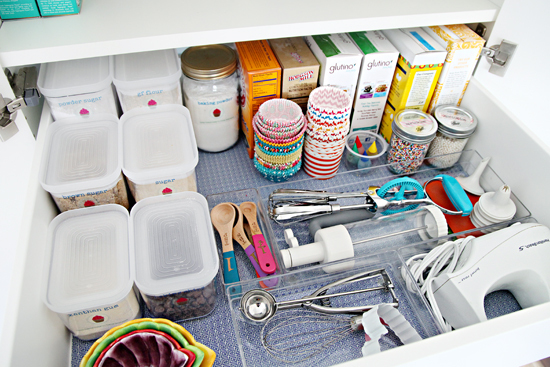 But there are also true benefits to shelf liner, such as protecting the surface of shelves and drawers from scratching, leaks and spills. 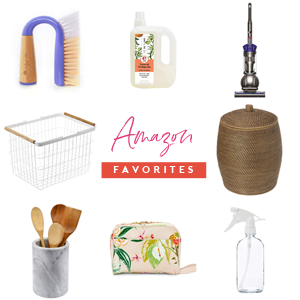 It also acts as a sound barrier (while putting away dishes after your kiddos go to bed), and can easily be washed (if using specific types and brands). 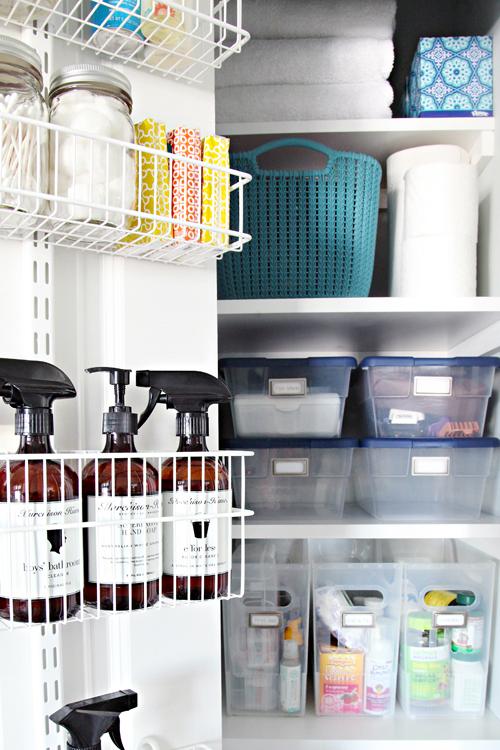 Labels are a huge help in ensuring your organizing project becomes successful for the entire family, but why head straight to the label maker and white label tape? 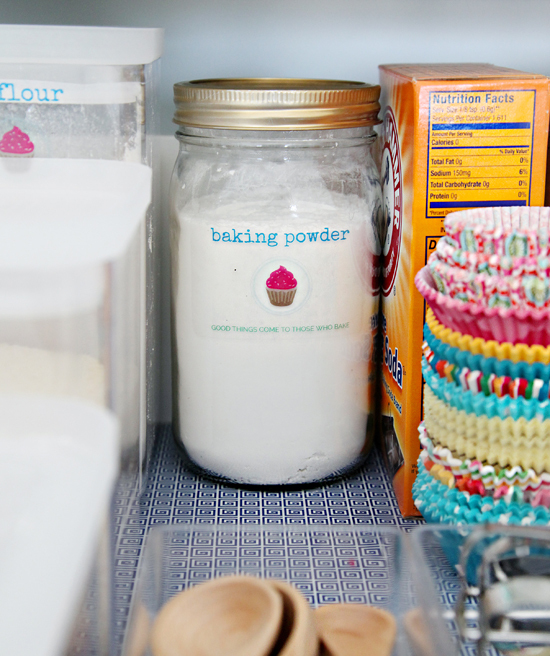 There are so many wonderful ways to label items, no label maker needed. I love it when labels look professional and intentional. 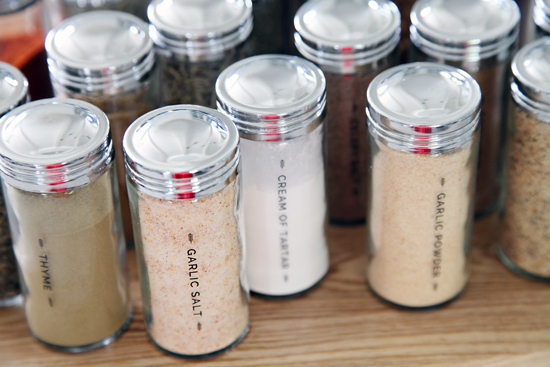 Especially for bins, baskets and containers that are used frequently or are typically left out in the open. 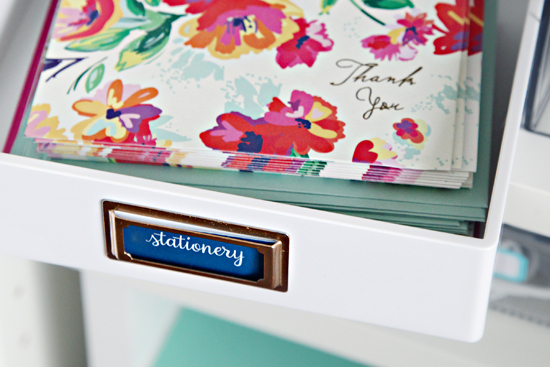 Consider using vinyl, printing on sticker or decal paper, utilizing iron-on transfer or even just hand writing onto a decorative tag or label holder. True Fact - Everything looks better with a label holder. I look at label holders as if they are jewelry for my bins and shelves. 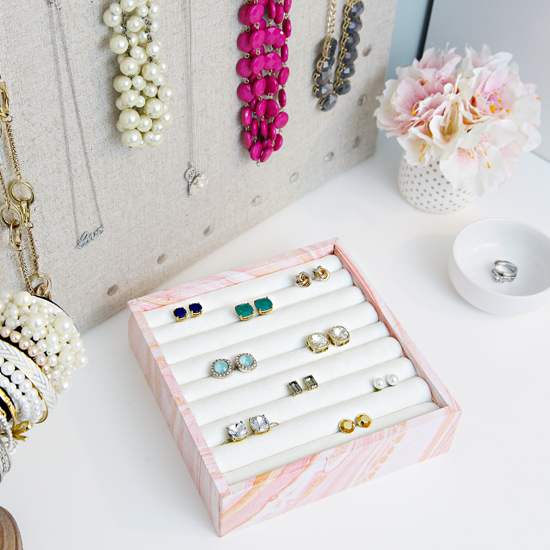 Just as I would accessorize my outfits with a pretty pink nail polish, a great pair of stud earrings or a gold pendant necklace, I give that same attention to my organizing projects. As you can see above, they really add a little pizzazz to basic white shelving, while still serving a great purpose! I am still trying to find the benefits of wire shelving. I know there must be something about it that is totally amazing, or it wouldn't have been the stock style installed throughout our house when it was built 14 years ago. And in just about every other house in our neighborhood as well.... Not only do things fall between the cracks, items don't always sit level on those ridges. I also believe they add additional visual clutter. I know some people love them, so this is completely a personal preference, but I prefer a solid shelf any day of the week. And when budget and resources are a factor, foam core from the dollar store can fix many of those open wire shelving problems in a jiff. Don't love your existing storage? 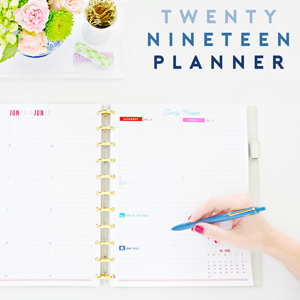 Don't toss it; just cover it with a pretty paper or fabric! I have covered many things with the help of patterned fabric, gift wrap and scrapbook paper paired with decoupage or spray adhesive. The sky is the limit, and you are sure to get beautiful storage unlike any other. Whenever clutter can be contained, you instantly win. 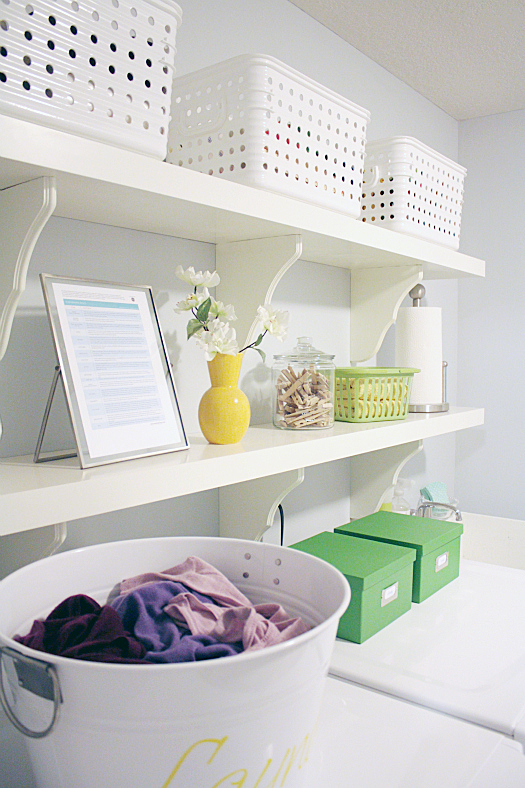 Whenever clutter is contained in cohesive bins and baskets, your eyes win. Utilizing bins in a similar finish, color and texture, or even options that compliment one another, reduces visual confusion and creates instant cohesion in your space. This is especially important in smaller areas, such as closets and bookcases. 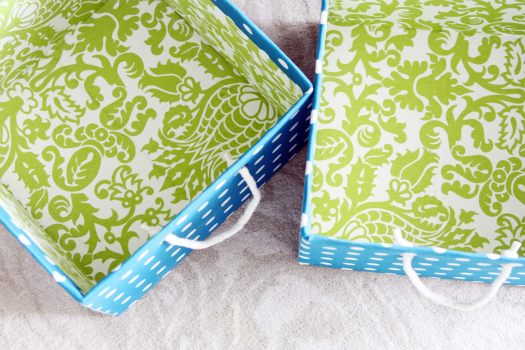 When finding similar baskets is not an option, think of other ways to create cohesion. This goes back to the fabric/paper treatment, or even adding similar style labels. Bookcases are one of my favorite organizational pieces, and just like a closet, a little wallpaper or paint goes a long way in a small area. If everything on the shelving is concealed and simple, you can go a bit bold with your lining choice. But if your objects are colorful and busy on their own, I recommend selecting something a little softer. 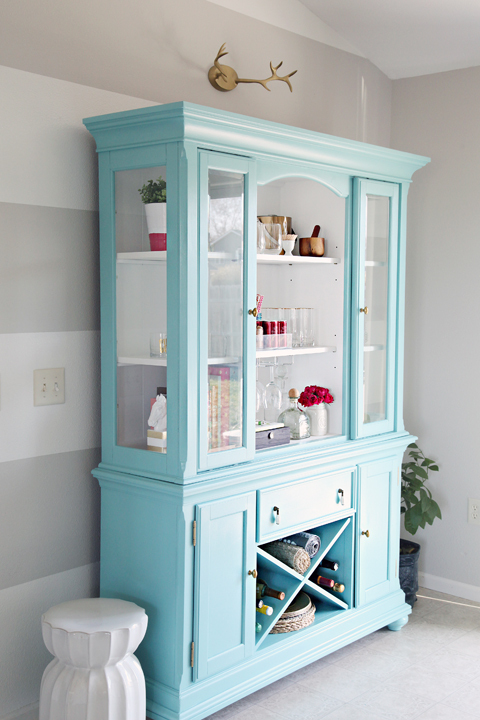 The paint and paper has the ability to take a $20 off-the-shelf department store bookcase and turn it into something unique and special. Oh! And ditto to cabinets, they appreciate the paint and paper treatment just as much! 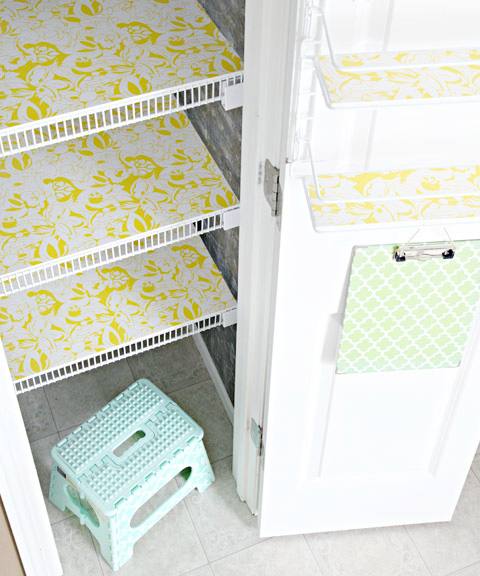 Storage furniture doesn't have to be expensive, basic or boring. Bookcases, credenzas, hutches and armoires can all be found at thrift stores and on Craigslist. 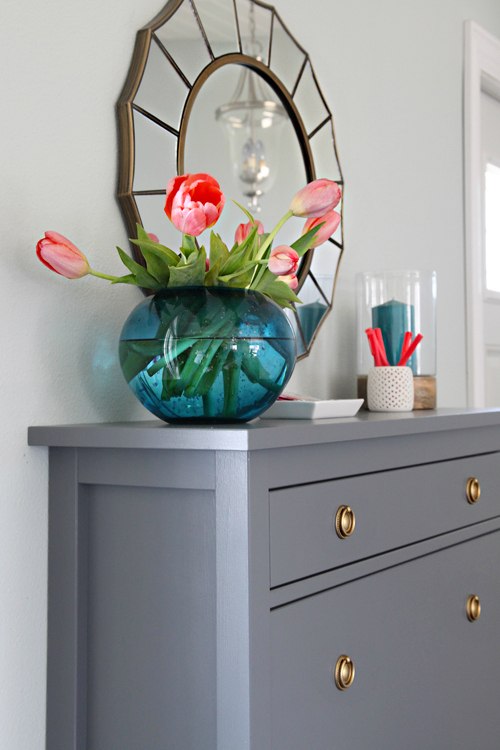 Pair those special finds with your favorite paint color and bam! 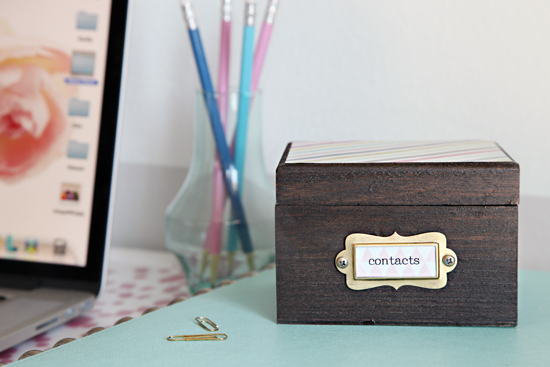 You have yourself beautiful storage that also makes a personal statement. Heck, even swapping out the hardware will give an old and generic storage piece, a fresh new start. Those ooh la la gold ring pulls are still one of my favorite additions to our basic IKEA shoe cabinet. A piece of furniture that can be found in the entryways of thousands of homes, is now unique to our home. I don't know if I was born with the organizing gene, or if it is truly these extra steps that motivate me with each project I take on. I have always loved being creative, so grabbing a paint brush, crafting up some pretty labels and decorating cardboard boxes, are all tasks right up my ally. 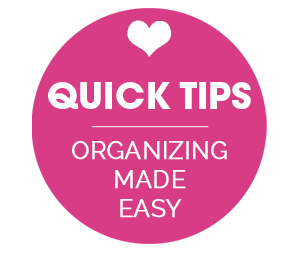 Organizing can be a true chore, it is a lot of work both mentally and physically to empty out a space and make tough decisions about what to keep, and more importantly, what to let go of. 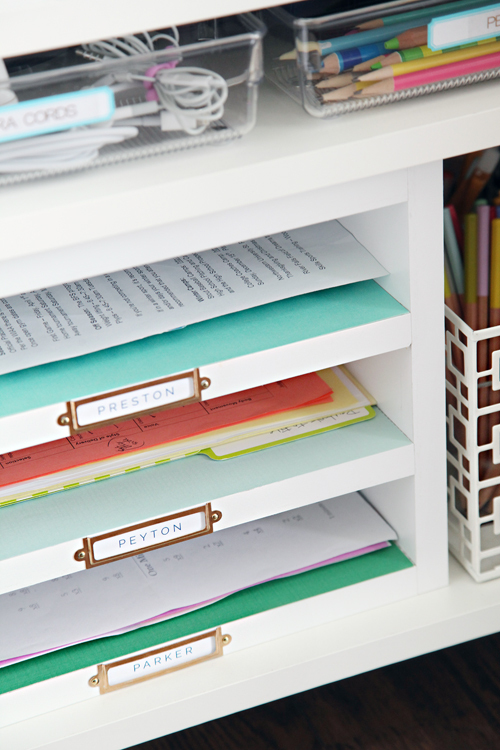 Although these crafty steps are not at all necessary when working on an organizing project, they do make it a bit sweeter. And for me, loving the end result and taking pride in a project is a huge motivator in maintaining a space and revisiting it again and again down the road. And that is always how I recommend you all take on your projects. Find that sweet spot; a way to make it fun for you! What are your passions and how can you tie those into your projects? If you love to read, listen to a book on tape while you sort. If you love to craft with your kiddos, get them involved in the fun. And if your hobby and passion has nothing to do with organization in any way, maybe use it as a motivator or reward for finishing a project or maintaining it for "x" amount of days. So what do you think? 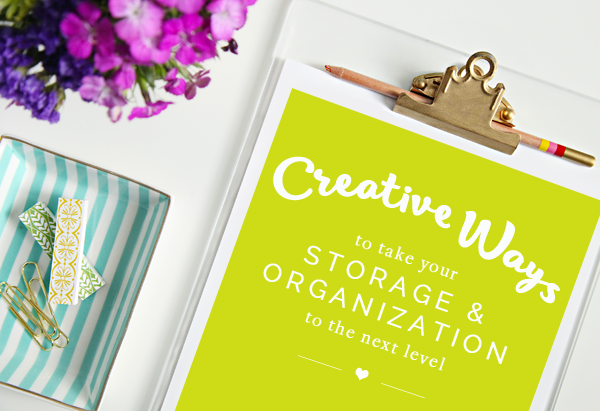 Have I convinced you to have a little fun with your next organizing task? I would love to hear about ways you excite and motivate yourself to complete a daunting project of any type. Spill your secrets in the comments below. You are so inspirational! Thanks again! Love all of the tips!! Where did you get that beautiful acrylic clipboard? However, I have seen them on occasion at places like Pottery Barn, CB2 and Russell + Hazel. That was really wonderful. Thank you. You are so inspiring all the time! 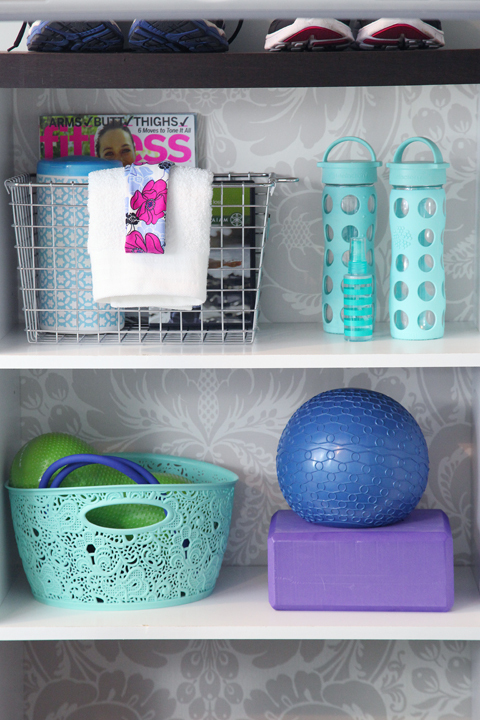 I just love your home and all our organized spaces. I'm just getting started organizing one space at a time in my home and trying to figure out what will motivate me. I think pretty systems are also my thing. If it is visually appealing, I'm more likely to try and keep it that way. PS: I'm also a huge fan of he bold colors you have throughout your decor and accessories :) All of your photos are pure eye candy. Thanks so much Christene! I appreciate you popping by and your kind comment. yes, Jen, you are truly inspirational. You make me smile every time I visit your site. I am always looking to new posts on your blog, I read, I dream- but that's basically it, not much happening :-( You must be born with a special gene because I cannot find one in me. I do not know where to start, I do not know how to redecorate the whole house, one room at the time on a limited budget so it stays cohesive and does not take 10 years to buy stuff. And most importantly, I do not know what my style is. I love a little bit of everything. Two years ago we bought a house with the intentions of fixing it up and make it our own. It is livable but very outdated and our kitchen could be more functional than it is right now. At the same time, it has a great canvas to work with. The first floor is almost finished. One of the spare rooms was converted into a library/travel themed room. Another bedroom has a tribal/African style. We did not touch 1st floor bathroom yet but the plan was to make it using beachy/nautical theme. Well, then there is a main floor with the great room/kitchen/dining room and the upper floor with two more bedrooms. Is it wrong to have different themes in each room? Is our house going to look weird because of it? Better to know now, then try to fix it AFTER the remodeling. I also would like to know if you still are planning on having “What would Jen do?” series. We have several problems in the house that I cannot find easy solutions to on the internet (like having six corner windows and no clue how to dress them up). Thank you Elena! And if it makes you feel any better, I still don't know my style either. I just know what I like, and allow myself to experiment. That might be trying out a few things and returning them if they don't work, or experimenting with an inexpensive Craigslist find. The most important thing is that you are trying to create a home that you and your family feel happy and comfortable in, that doesn't happen overnight for anyone. It may be worth it to work with a designer for one space in your house, just to help you narrow down your ideas and thoughts and help you reign in a scheme that you absolutely love. That way you can trickle those concepts through to the remainder of your home as you remodel. I believe that some designers can help you come up with some basic ideas and then you could take your own time as budget permits. I love the originality of it all. I like order and being able to find what I want without searching the world to locate it. This is wonderful information. 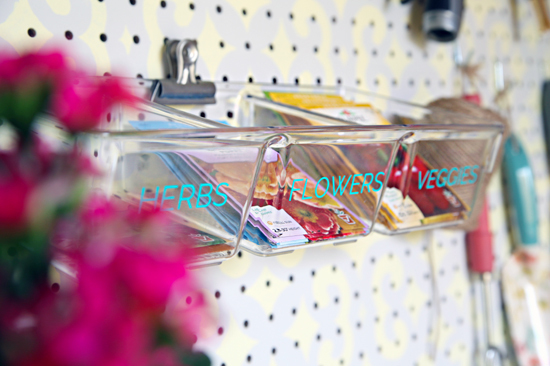 .Bwing organized also reduces CLUTTER! It also makes ones life more orderly. 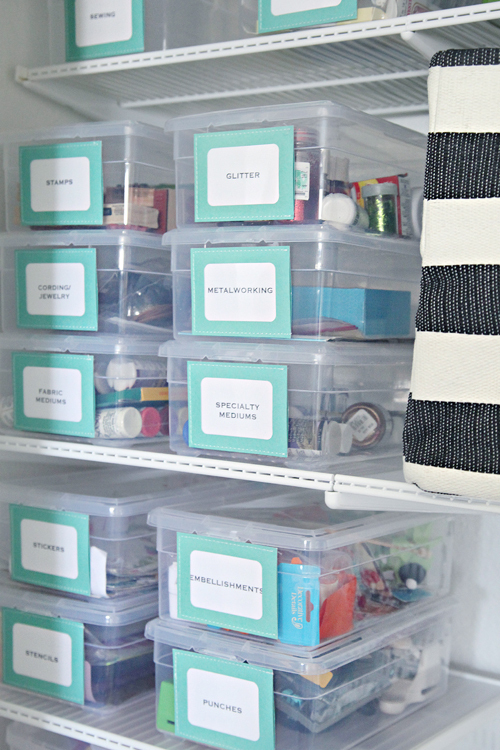 Thanks for all the great organizing tips! I love organizing too, but mine is not as nice as yours......you inspire me. Seriously, I am so inspired by you! I love to organize, and you help me make it beautiful! Thank you Jenny! Thank you so much for the inspiration - now I know how I'll spend my weekend! 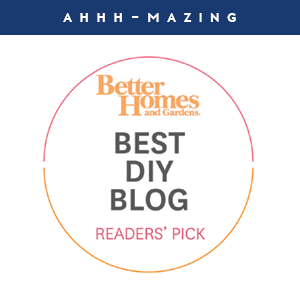 Your picture reminded me - did you find a wonderful spot for your beautiful painted hutch after re-doing your dining room? These are such great ideas ! I love making labels for stuff haha. This kind of organization post is like a drug to me. Good Lord you are brilliant! 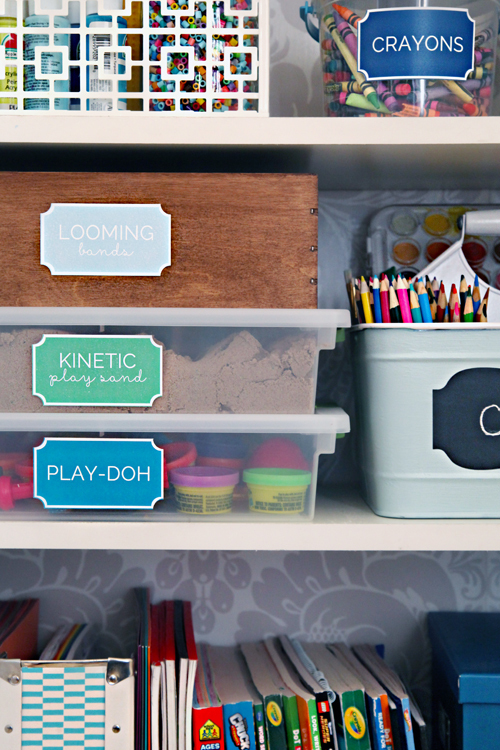 I consider myself an organizing queen but I had never thought of foam core board for those horrible wire shelves! In fact, I taught myself to replace wire shelves with wood ones but this would be so much easier! Bless you! I agree that a system that's pretty and you love is the best way to stick with it! I think the benefit of wire shelves is in a linen closet because it's good for air to circulate among the fabric of the linens, and prevent that mustiness. But I, too, hate them!